The recent issue with Dydacomp’s Address Correction Verification Module has been successfully resolved. The first step for M.O.M. 7.1 and 6.2 users is to get the latest program update published 8/5/2011 on the support section of the website. Click here for a guide to download the newest executable. The next step is to extract the new ACVM data which is on the new ACVM disks you will be receiving shortly. As of this morning, all of the new ACVM disks have been mailed out to all ACVM users. Once you have downloaded the latest program update and received the ACVM data, you should then re-enable ACVM . 1. Go to the Maintain drop down menu, followed by System Information, and then select Global Parameters. 3. Re-check off the boxes of your ACVM choices and re-enter your ACVM Installation Path into the ACVM box. It’s That Time Again, ACVM is in the Mail! It may not seem like three months have passed, however Dydacomp has just mailed the most recent Address Correction Validation Module (AVCM) update. All M.O.M. users with ACVM should keep an eye out for the update in the mail. 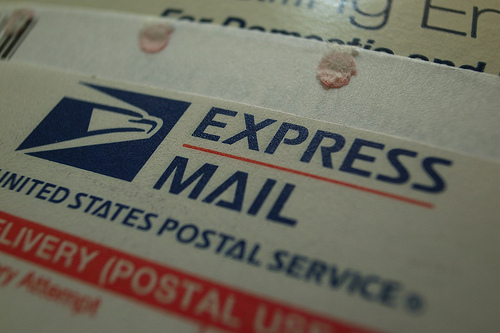 The July 2011 release from the USPS will provide the most accurate addresses to date. These updated addresses will be valid for three months 2011 when we will be sending out the next batch of updates. This past Sunday was Mother’s Day. I’d like to extend a belated Happy Mother’s Day to all the mothers out there. As we all take time out to appreciate our mothers, I was thinking what a great time to take a deep breath and appreciate your M.O.M. system. All of us here at Dydacomp feel we have a superior product and work hard to provide a great customer experience. Here in the Payment Processing Department, we are excited about the opportunity to save you money on credit card processing. I love my job because I get to save our customers money every day. It’s an awesome feeling and I highly recommend you try it sometime. Last week I was speaking with the owner of an automotive shop who processes about $150,000 per month in credit cards. They have 6 workstations and process via phone and internet. This customer was convinced that we could not help them save money because they already had “rock bottom prices” for credit card processing. It took some convincing, but the merchant finally agreed to send me 3 months worth of credit card statements so I could do a full cost analysis for them. In doing the analysis, I discovered several areas where switching to our Bundled Services Package could save them money. I spoke with our First Data Rep and was able to negotiate a sweetheart deal for this customer, which included a FREE First Data Global Gateway. Including the elimination of the gateway costs, we were able to save them $185 per month right off the bottom line! It was with great pleasure that I was able to call the owner back and present them with the savings. This individual could not believe that we found them any savings, much less $185 per month. 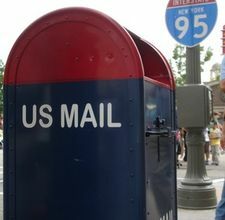 With the extra money in the budget, they plan to purchase the Address Correction and Validation Module (ACVM) and upgrade to a higher tier of Mail Order Manager Support. This, in turn, will save them even more time and money. So, take a minute to appreciate your M.O.M. system. We are all working hard to help make your business as successful as possible. It seems that the cost of doing business is forever increasing. Retailers are feeling the pain most acutely in rising printing, postage and shipping costs – the staples of marketing. Any retailer who has sought to promote their products and services via direct mail knows the arduous process: determining a budget, creating a promotional piece, selecting recipients, totaling the cost of printing and postage, estimating return on investment. When the returns for invalid addresses start pouring in, each piece has a cost attached to it and the realization of the dollars spent on mail pieces that will never be seen can be dizzying. These costs can climb even higher when we’re talking about shipping product. Address correction fees for packages sent to undeliverable addresses can run to $15 per piece, leaving you with the choices of absorbing the cost or charging the customer – neither of which is what anyone would call a happy resolution. The Address Correction and Validation module (ACVM) for M.O.M. allows you to compare key-entered and imported shipping and mailing addresses against actual USPS® data that is updated 6 times annually, reducing carrier imposed penalties and protecting your bottom line. The ACVM service can be used not only on individual addresses but to validate lists created in the List Management Module (LMM). (800) 858-3666, option 3 or email us at info@dydacomp.com. One of our Solution Specialists will be happy to answer all your questions and even generate a shipping cost savings estimate using your live shipping statistics. Be sure to ask about reduced fees for multiple year subscriptions! Or, if you currently maintain a M.O.M. support contract, you can order online today at www.dydacomp.com/orderacvm.